Sudden plans are always the BEST !! That feeling of excitement when you did not expect your date, but it happens anyway. As good as sudden plans maybe, they could be ruined if you haven’t had your body hair removed. Dressing up becomes a challenge and so does keeping that smile on your face. Your next salon schedule maybe 10-15 days later and that feeling of being stuck in this situation is bad. I know it just as every girl does! 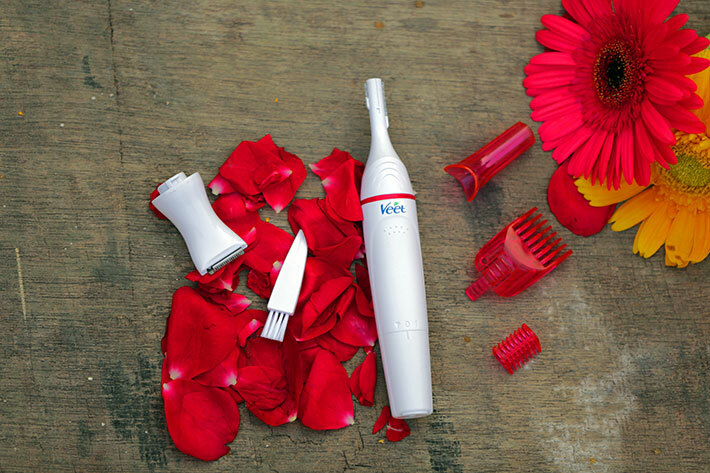 That is why I decided on trying out the Veet hair removal products and review it for you’ll. The hair removal cream also comes in three variants to choose from depending on your skin type. If you have dry, sensitive or normal skin, you could go with the right kind mentioned on the box. I picked up the green box as that’s the one that comes with Shea butter and is suitable for sensitive skin like mine. A 50 gm box comes at Rs 110. 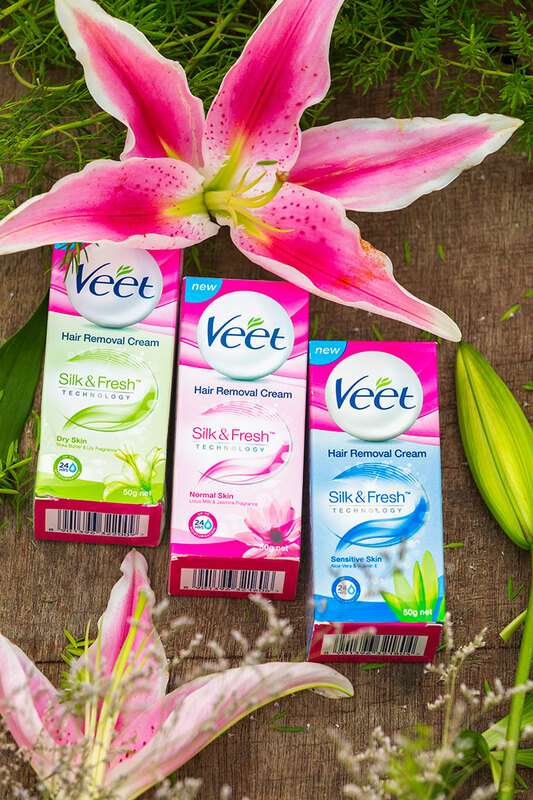 Using the veet hair removal cream is an easy and not a very messy affair. It’s important to do a patch test on your skin before you use it on a larger part of your body. 1. Apply the cream directly and evenly using the spatula in the box. Ensure skin is clean before you start off. 3. Using the other edge of the spatula, remove the cream. 4. Rinse off and then pat dry. 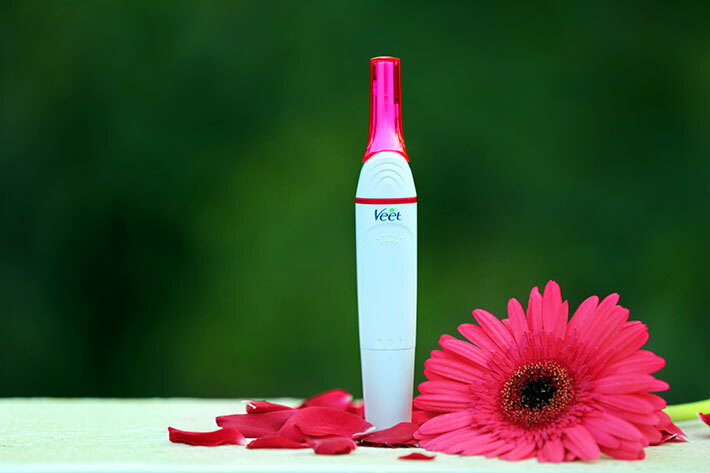 When used as per instructions; Veet is safe for skin and moisturizes it as well. 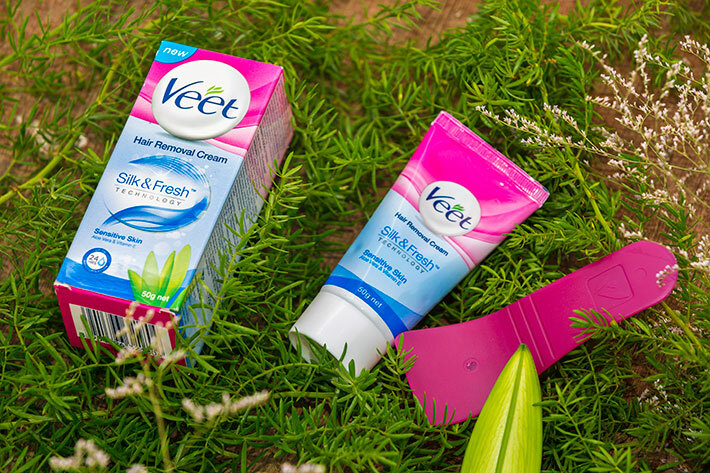 Veet targets the root of the hair, leaving you with superior, long-lasting smoothness. 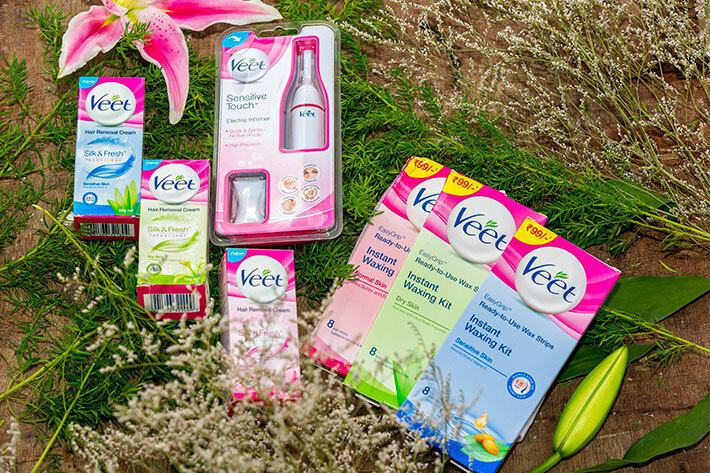 The veet hair removal cream is just what you need for sudden night outs and travel plans! You’ve heard that time is money. What if you get something that saves both our time and money? In my busy routine, I often look at products that would help me save on time and make my life easier. This is why I got my hands on the Veet ready to use wax strips. I could have gone for razors, but the results don’t last too long and the growth feels way thicker than before. 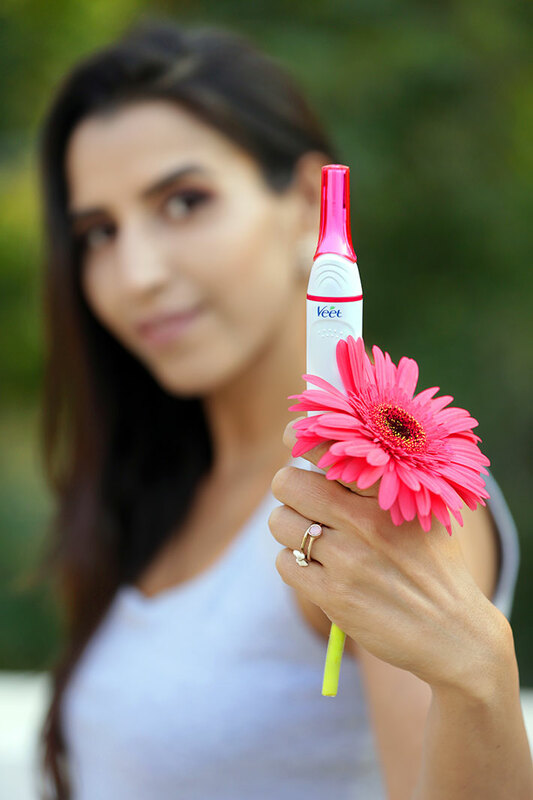 I need my post hair removal results to last way longer as it would reduce on my hair removal frequency and gives me freedom to wear those lovely short dresses without worrying too much. 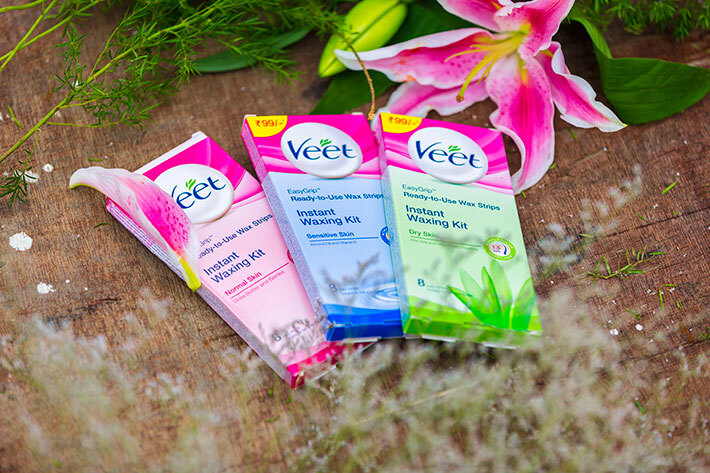 Veet ready to use wax strips- instant waxing kit come in three variants that are made for your skin type. They have options for sensitive, normal and dry skin, you could choose from these variants depending on your skin type. Since I do have dry skin I purchased the Aloe Vera wax strips. You get 20 (that is 10 double sided strips) for Rs 99. Each kit also consists of 5 perfect finish wipes. Take a wet cloth and wipe the body part you wish to remove hair from. Sprinkle some talcum powder as well just to have the moisture absorbed. Step 1: Rub the Veet wax strip with your hands for about 5-10 seconds to warm the wax. Step 2: Peel the two strips apart. Step 3: Place a strip onto the shin & rub repeatedly in the direction of the hair grows. Step 4: Pull the strip back in the direction opposite to the direction of hair growth. Make sure that you remove the strip in one shot, keeping it parallel to your skin, not away from it. Step 5: After completing waxing, wipe up with the Veet perfect finish wipe to get rid of the wax & stickiness. 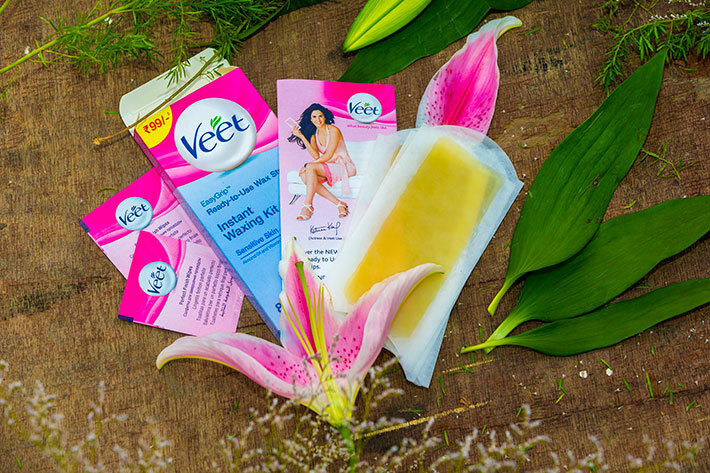 The Veet ready to use wax strips are completely mess free and time saving option. 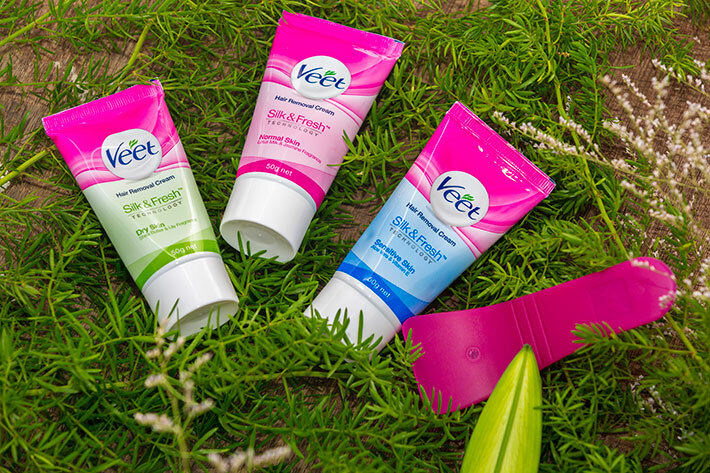 What I loved is that Veet has come up with three variants, each one to suit your skin type. Usually we see the same wax used in parlours for all skin types. The other variants such as chocolate, gold etc are super expensive. I found Veet to be so light on my pocket and I can just put it in my bag and fly to any location without too much worry. It has helped me in really tight shooting schedules where I am waxing the hair off half an hour before my shoot starts. Cannot visit a salon then, can I?